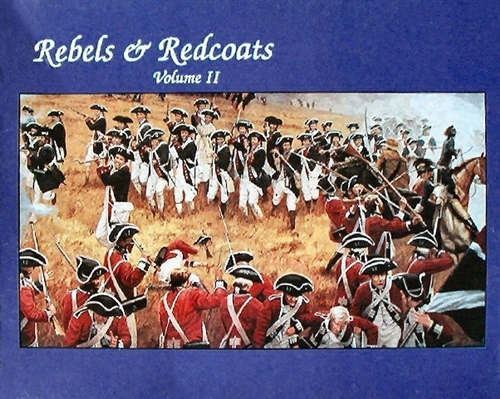 Rebels & Redcoats, Vol. II. American Revolutionary battles of Bennington, Freeman's Farm, Bemis Heights, Camden, Cowpens, Guilford Court House, Hobkirk's Hill, and Eutaw Springs. The game system is the same as that in Volume I.